I am at this point somewhat fatigued by Indian population genetics. The real results are going to be ancient DNA, and I’m waiting on that. But people keep asking me about an article in Swarajya, Genetics Might Be Settling The Aryan Migration Debate, But Not How Left-Liberals Believe. First, the article attacks me as being racist. This is not true. The reality is that the people who attack me on the Left would probably attack magazines like Swarajya as highly “problematic” and “Islamophobic.” They would label Hindu nationalism as a Nazi derivative ideology. People should be careful the sort of allies they make, if you dance with snakes they will bite you in the end. Much of the media lies about me, and the Left constantly attacks me. I’m OK with that because I do believe that the day will come with all the ledgers will be balanced. The Far Left is an enemy of civilization of all stripes. I welcome being labeled an enemy of barbarians. My small readership, which is of diverse ideologies and professions, is aware of who I am and what I am, and that is sufficient. Either truth or power will be the ultimate arbiter of justice. To my surprise, it turned out that that Joseph had contacted Chaubey and sought his opinion for his article. Chaubey further told me he was shocked by the drift of the article that appeared eventually, and was extremely disappointed at the spin Joseph had placed on his work, and that his opinions seemed to have been selectively omitted by Joseph – a fact he let Joseph know immediately after the article was published, but to no avail. Indeed, this itself would suggest there are very eminent geneticists who do not regard it as settled that the R1a may have entered the subcontinent from outside. Chaubey himself is one such, and is not very pleased that Joseph has not accurately presented the divergent views of scholars on the question, choosing, instead to present it as done and dusted. I do wish Tony Joseph had quoted Gyaneshwer Chaubey’s response, and I’d like to know his opinions. Science benefits from skepticism. Unfortunately though the equivocation of science is not optimal for journalism, so oftentimes things are presented in a more stark and clear manner than perhaps is warranted. I’ve been in this position myself, when journalists are just looking for a quote that aligns with their own views. It’s frustrating. The genetic data at present resolution shows that the R1a branch present in India is a cousin clade of branches present in Europe, Central Asia, Middle East and the Caucasus; it had a common ancestry with these regions which is more than 6000 years old, but to argue that the Indian R1a branch has resulted from a migration from Central Asia, it should be derived from the Central Asian branch, which is not the case, as Chaubey pointed out. The Srubna culture, the Scythians, and the people of the Altai today, all bear the “Indian” branch of R1a. First, these substantially post-date 6000 years ago. I think that that is likely due to the fact that South Asian R1a1a-Z93 and that of the Sbruna descend from a common ancestor. But in any case, the nature of the phylogeny of Z93 indicates rapid expansion and very little phylogenetic distance between the branches. Something happened 4-5,000 years ago. One could imagine simultaneous expansions in India and Central Asia/Eastern Europe. Or, one could imagine an expansion from a common ancestor around that time. The latter seems more parsimonious. Additionally, while South Asians share ancestry with people in West Asia and Eastern Europe, these groups do not have distinctive South Asian (Ancestral South Indian) ancestry. This should weight out probabilities as to the direction of migration. A few studies on mtDNA and Y-chromosome variation have interpreted their results in favor of the hypothesis,70–72 whereas others have found no genetic evidence to support it.3,6,73,74 However, any nonmarginal migration from Central Asia to South Asia should have also introduced readily apparent signals of East Asian ancestry into India (see Figure 2B). Because this ancestry component is absent from the region, we have to conclude that if such a dispersal event nevertheless took place, it occurred before the East Asian ancestry component reached Central Asia. The demographic history of Central Asia is, however, complex, and although it has been shown that demic diffusion coupled with influx of Turkic speakers during historical times has shaped the genetic makeup of Uzbeks75 (see also the double share of k7 yellow component in Uzbeks as compared to Turkmens and Tajiks in Figure 2B), it is not clear what was the extent of East Asian ancestry in Central Asian populations prior to these events. Actually the historical and ancient DNA evidence both point to the fact that East Asian ancestry arrived in the last two thousand years. The spread of the first Gokturk Empire, and then the documented shift in the centuries around 1000 A.D. from Iranian to Turkic in what was Turan, signals the shift toward an East Asian genetic influx. Alexander the Great and other Greeks ventured into Central Asia. The people were described as Iranian looking (when Europeans encountered Turkic people like Khazars they did note their distinctive physical appearance). We have ancient DNA from the Altai, and those individuals initially seemed overwhelmingly West Eurasian. Now that we have Scythian ancient DNA we see that they mixed with East Asians only on the far east of their range. The time divergence between Indian and European Y-chromosomes, based on the closest neighbour analysis, shows two different distinctive divergence times for J2 and R1a, suggesting that the European ancestry in India is much older (>10 kya) than what would be expected from a recent migration of Indo-European populations into India (~4 to 5 kya). 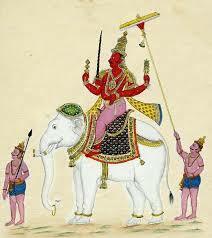 Also the proportions suggest the effect might be less strong than generally assumed for the Indo-European migration. Interestingly, the ANI ancestry was recently suggested to be a mix of ancestries from early farmers of western Iran and people of the Bronze Age Eurasian steppe (Lazaridis et al. 2016). Our results agree with this suggestion. In addition, we also show that the divergence time of this ancestry is different, suggesting a different time to enter India. Lazaridis et al. accept a mass migration from the steppe. In fact, the migration is to such a magnitude that I’m even skeptical. Also, there couldn’t have been a European migration to South Asia during the Pleistocene because Europeans as we understand them genetically did not exist then!!! I assume that many of the dates of coalescence are sensitive to parameter conditions. Additionally, they admit limitations to their sampling. Ultimately the final story will be more complex than we can imagine. R1a is too widespread to be explained by a simple Indo-Aryan migration in my opinion. But we can’t get to these genuine conundrums if we keep having to rebut ideologically motivated salvos. Related: Ancient herders from the Pontic-Caspian steppe crashed into India: no ifs or buts. I wish David would be a touch more equivocal. But I have to admit, if the model fits, at some point you have to quit. 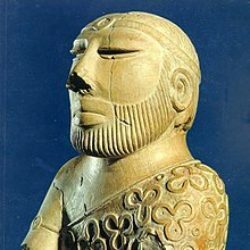 In the near future ancient DNA will do for South Asia what has been done for Europe, and to a lesser extent the Near East. It will pull back our veil of ignorance. But until then we have genomic inference from larger data sets with a greater number of markers. What can we say now? – The 2009 work that modern South Asians are broadly a compound of two streams of the out of Africa populations is correct. One is much like other West Eurasians. Another is distantly related to other East Eurasians, with possible affinities to Paleolithic Southeast Asian hunter-gatherers. – The West Eurasian ancestry of South Asians, the “Ancestral North Indians” (ANI), does likely seem to be a mixture at minimum between two groups. One element is related to the eastern farmers who first adopted agriculture on the slopes of the Zagros ~10,000 year ago. Another stream is closely related to the Yamna people who flourished on the Eurasian steppe north of the Black Sea ~5,000 years ago. – The Munda peoples seem to have a distinct Southeast Asian component that ties them with other Austro-Asiatic peoples. Their migration was almost certainly tied to the Neolithic migration of rice farmers. They are likely not the primal aboriginals of South Asia. 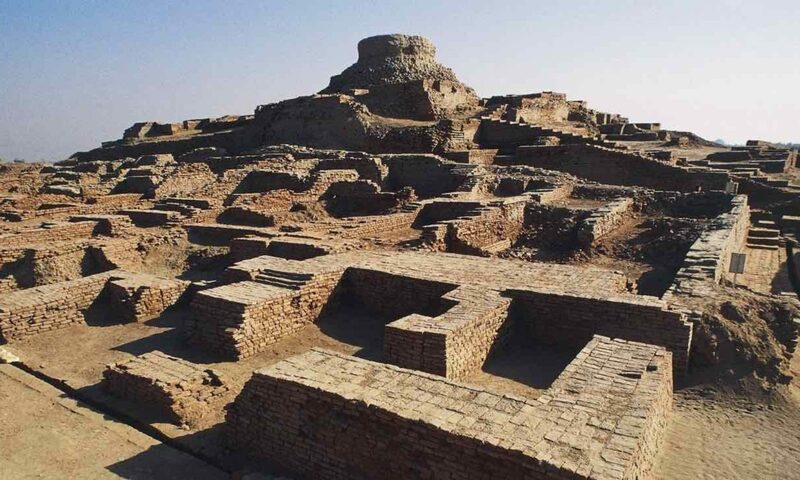 – The R1a1a-Z93 Y chromosomal lineage found across much of South Asia, and especially the higher castes and the north, increased in frequency within the last 4,000 years. It is almost certainly exogenous to South Asia; ancient DNA from the steppe finds the Z93 in Iranic peoples, but no Indian ancestry in these groups. As I said, ancient DNA will clarify lots of things. I expect that to happen in the next few years.